Basseterre, St. Kitts, December 15, 2015 (SKNIS)—The Government of National Unity delivered its historic 2016 Budget on December 15, 2015, under the theme “Changing Lives—A Fresh Start Towards Sustainable Development, Growth and Prosperity” that speaks to every facet of the progressive and growing socio-politico-economic landscape of a modern St. Kitts and Nevis. 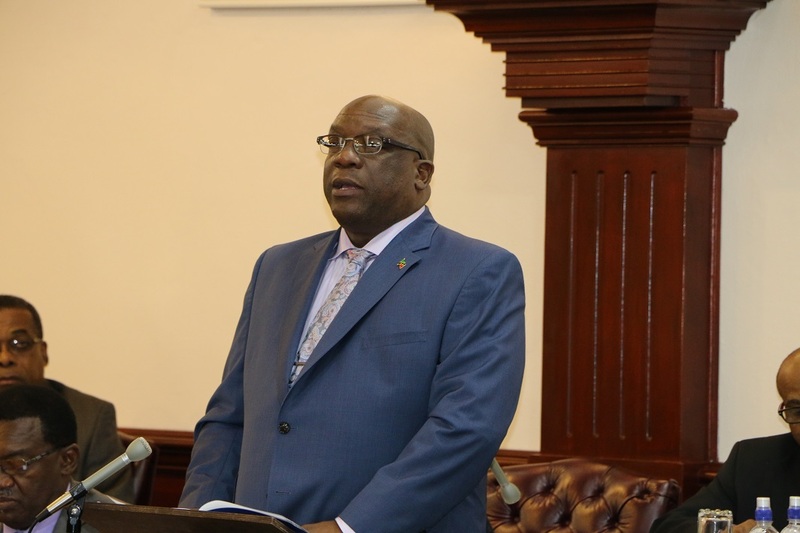 Prime Minister and Minister of Finance, Dr. the Honourable Timothy Harris, in reading the Appropriation (2016) Bill, 2015, said that a surplus of EC $140 million was achieved in 2015 and he highlighted several pivotal areas that the Bill addresses going forward. Dr. Harris said that in the area of health care, his government will build an oncology center to treat cancer patients who otherwise would have to travel overseas for care. In the area of education, he reiterated his government’s pledge to a quality education for the nation’s children in announcing the building of a brand new Basseterre High School (BHS) with the help of stakeholders such as the Caribbean Development Bank (CDB). He also said that significant sums of money will go towards resources to uphold law and order in the country. He also spoke to reformation of the People Empowerment Programme (PEP) that was not properly managed by the former administration. He said that there will be a three (3) percent increase for public sector workers starting in January of next year, honouring the former administration’s commitment; and increments will continue in 2016, contributing to a two (2) percent increase in wages. Prime Minister Harris highlighted that in 2015 the economy grew by 6.7 percent, the largest in the Caribbean and the second largest in Latin America and the Caribbean, and that the economy was on an upward trajectory of growth. In referring to the Citizen-by-Investment (CBI) programme, the prime minister said that “while the country was not fully out of the woods” because of the mismanagement of the programme by the Douglas-led Administration, his government was rebuilding confidence in the programme and had hired the services of Lanny Davis and Associates LLC to assist with repairing the reputational damage done to the CBI programme. Lanny J. Davis & Associates is an American law firm aimed at providing solutions for clients. Lanny Davis is a renowned legal crisis management expert. A lawyer and communicator with decades of experience, Lanny Davis has served in numerous roles, most significantly as former White House special counsel to President Clinton.